Even though half of all Americans put money aside for retirement, it isn't until they reach their sixties that many realize that they haven't saved enough. With The Five Years Before You Retire, you'll hone in on what you need to do in the next five years to maximize your current savings and create a realistic plan for your future. 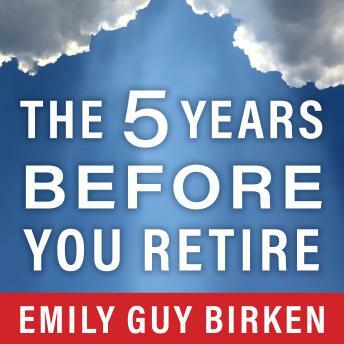 This book guides you through each financial, medical, and familial decision, from taking advantage of the employer match your company offers for your 401(k) program to enrolling in Medicare to discussing housing options with your family. Covering every aspect of retirement planning, these straightforward strategies explain in detail how you can make the most of your last few years in the workforce and prepare for the future you've always wanted. Whether you just started devising a plan or have been saving since your first job, The Five Years Before You Retire will show you what you need to do now to ensure that you live comfortably for years to come.